An easy and convenient way to access your putters or go to discs. 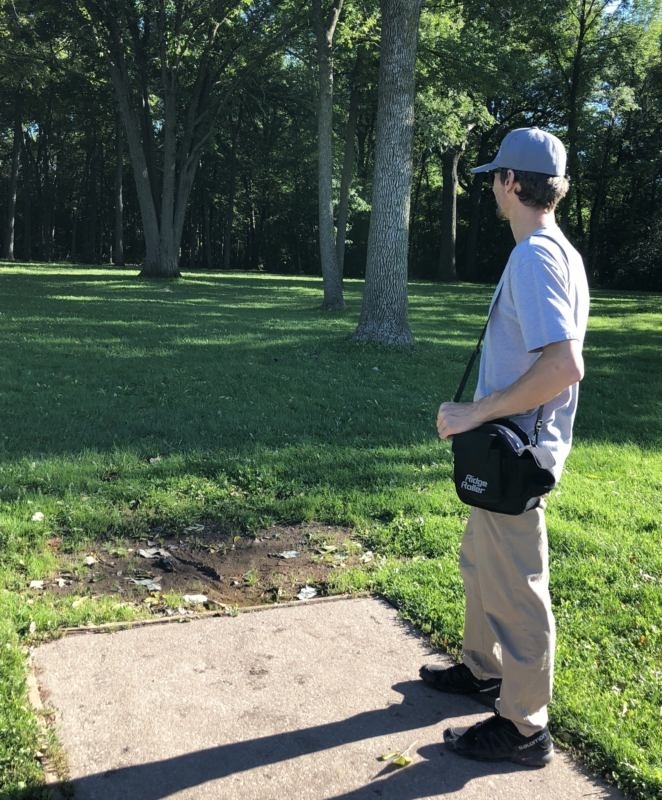 Or pull out the sling attach it to your caddy throw it over your shoulder for those short rounds where you only need a few discs, or for your young disc golfer not ready for the big boy cart. 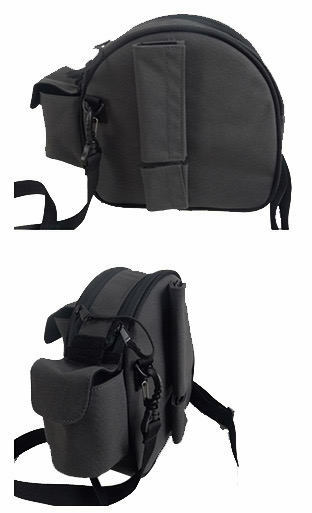 Made from 1000d fabric and heavy duty construction its light weight at only 1 pound! Awesome customer service and products!! 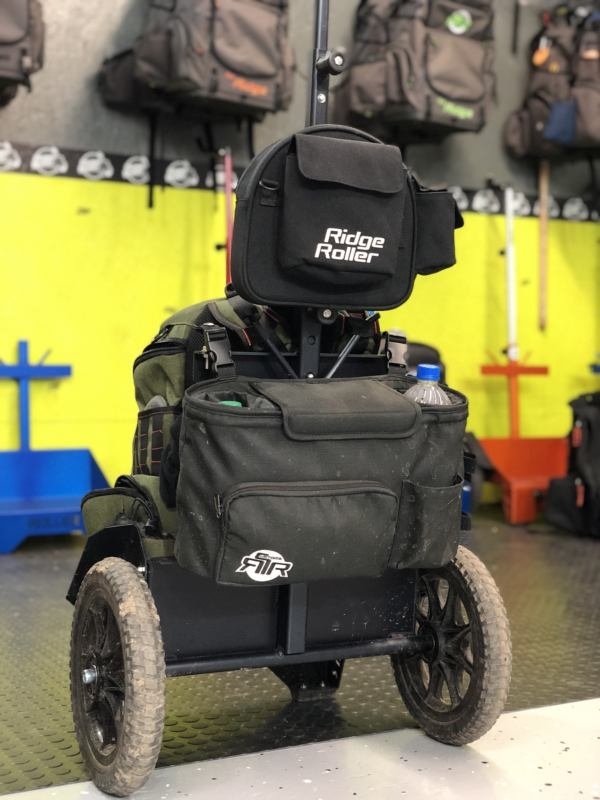 Love my ridge roller bag and cart combo!! Haven’t received, but everything has been perfect so I can’t assume anything less at this point. Product was shipped; fast, accurate, and secure. Only took 3 days for it to arrive to NorCal. Really good product, much heavier/thicker material than expected and some of the best customer service in the business. Super fast shipping! Love this addition to my rig. 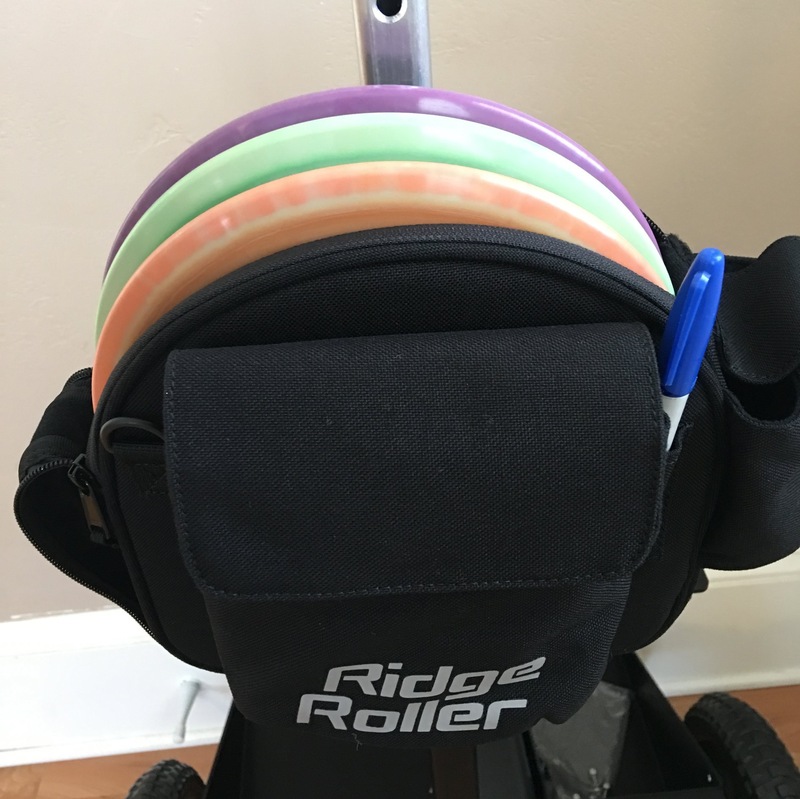 The Putter Sling is a Nice and portable carry for those Dash Rounds and great storage for my go to discs when attached to my cart. Awesome especially when you are on the hills in the woods! All you have to do is take caddy off the cart and carry with you. Brilliant! Pretty solid add-on to my cart. We’ll made. Order and shipping was really fast. 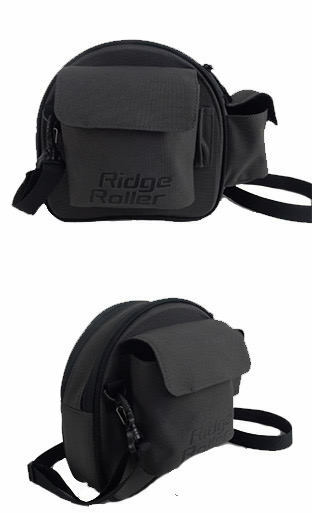 Ridge Roller is top notch. Proud to support such a company! One of the nicest putter pouches out there. This thing rocks. Took it on vacation b/c I could only take a few discs. Fit right in the suitcase. Shoulder strap is a nice touch for such occasions. Very satisfied with the build of this small bag. Fits what I need and attaches easily to my cart. Well, most likely the first and last putter caddy i will purchase. Appears durable fabric 3 putters, pocket i fit a note8 n stash, and side pocket sunglasses. Recently, Purchased the bag n cart combo w/fridge and this caddy. Already been thru about 80 baskets worth. Rough terrain, mud, rocks, n creeks. No issues and smooth bearing rollouts! Had several comments even from a Zuca cart owner. I love it! This completes my RidgeRoller and just like every other product you guys make, I’m smitten by it. You have a customer for life!